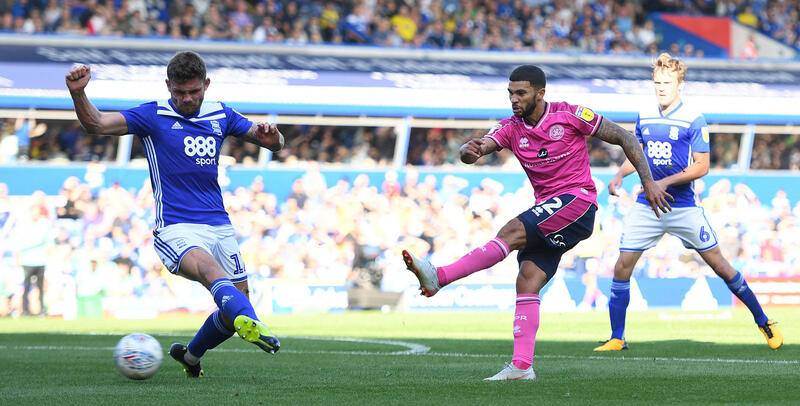 Nahki Wells says the win over Middlesbrough on Saturday was an example of QPR gritting their teeth and showing what they’re all about. Against a strong and physical ‘Boro side who had suffered only one defeat in their previous ten fixtures, the R’s came out on top thanks to goals from Pawel Wszolek and Wells, which sandwiched George Saville’s equalizer for the visitors. Reflecting on the 2-1 victory which was achieved against a backdrop of driving rain in west London, Wells told www.qpr.co.uk: “You have to grit your teeth and show what you’re about. “We competed well with them in that department and they are probably one of the strongest in the division. We may be a smaller team physically than them but we stood up and punched well above our weight. “You had two teams out there who were fighting until the very end. The conditions made it difficult and we tried to manage it as best as we possibly could. Wells proved to be the match winner with a brilliant strike on the hour mark. Having failed to find the back of the net in his first nine games for QPR, his goal against ‘Boro was his fifth in his last nine appearances. On loan from Burnley, Wells was an instant hit with the R’s fans for his work-rate and he himself was happy with his play in those opening matches, even if he was yearning for the goals to come. “I had to rationalize what I was doing,” he explained. “I felt my performances were very good but I needed to do more to score goals.